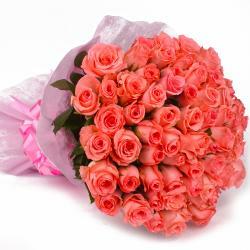 Send this beautiful bouquet to the special person in your life. 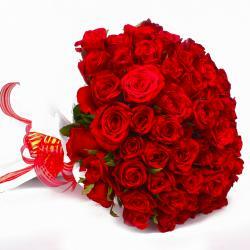 It consists of an enchanting bouquet of 50 red roses in tissue packing with paper ribbon bow. 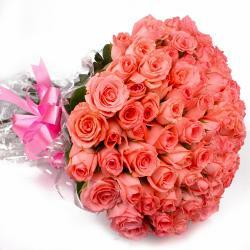 The bouquet is expertly arranged with elegance. 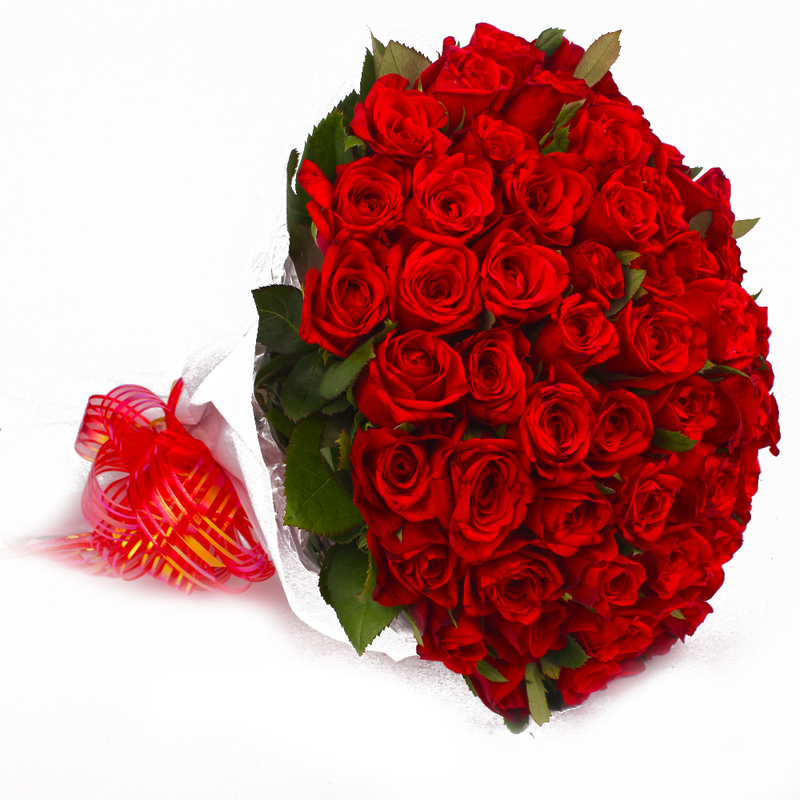 Gift this today to the special ones and delight them from core of their heart. 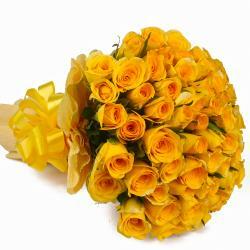 You can send this bouquet on to Anniversary, Diwali,Friendship Day, Corporate Gifting, Birthday,Wedding and many more. 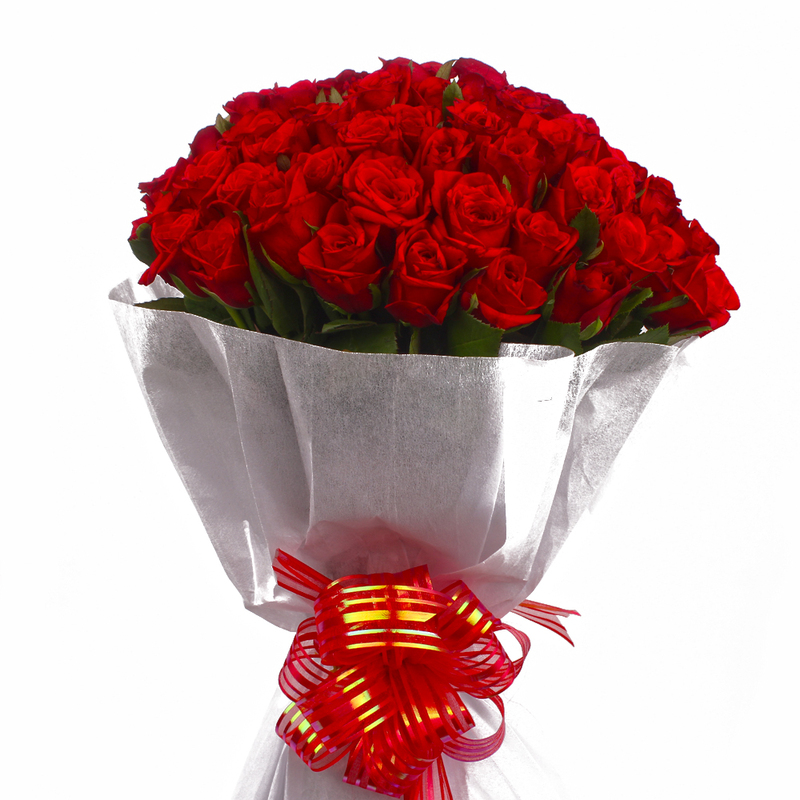 Product Contains : 50 Red Roses with green fillers in Tissue Paper Wrapping with Ribbon Bow on it.